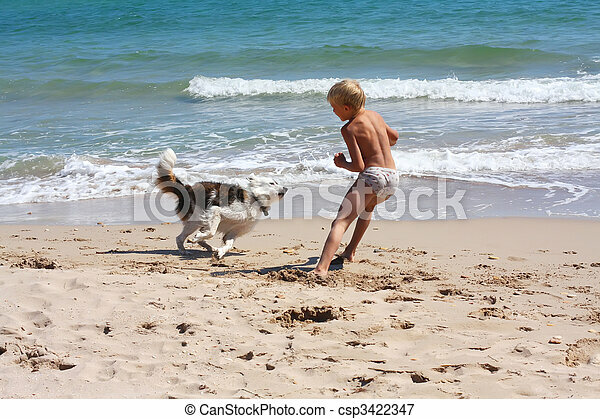 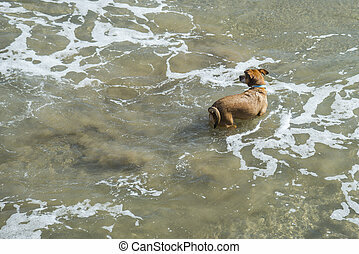 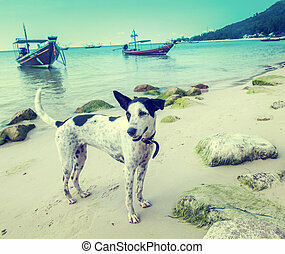 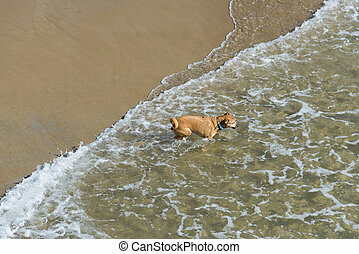 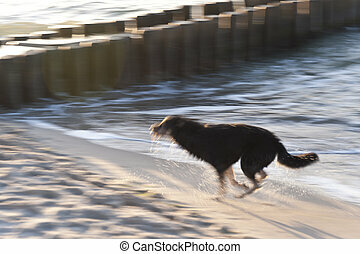 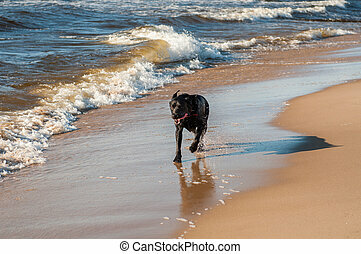 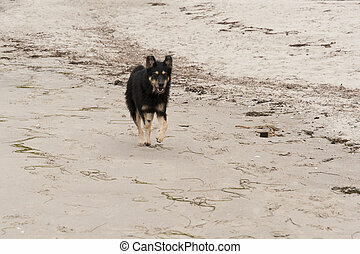 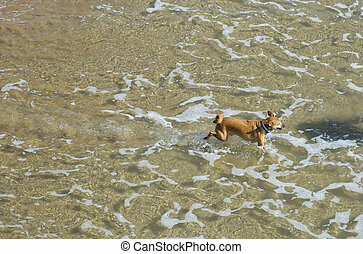 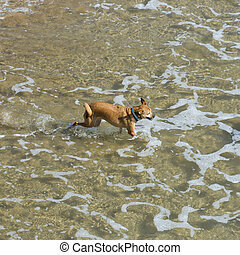 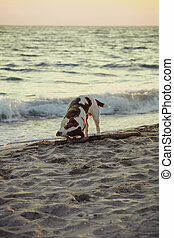 Boy playing dog on the sea. 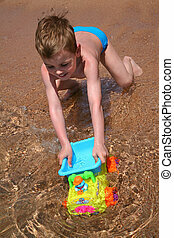 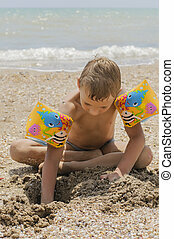 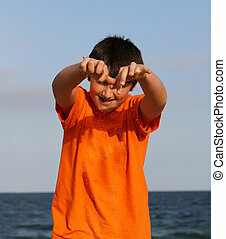 Boy playing with sand on the sea. 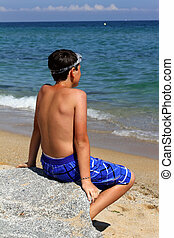 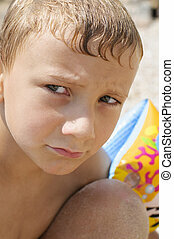 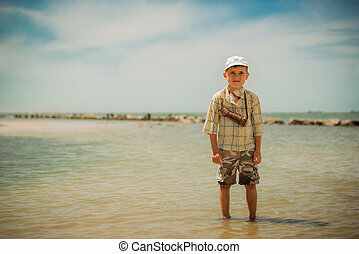 Boy on the sea beach.